Copyright © 2017 University of Northern Iowa's College of Business Administration. A business degree from UNIBusiness will guarantee career flexibility in an unpredictable job market. Our graduates span the globe and hold positions in the world's most influential organizations. Our Professional Readiness Program® is integrated into our curriculum and will give you the soft skills needed to succeed as a professional. You'll find many opportunities to grow and excel - whether you want to study abroad, get a sweet internship, start your own business, or join one of more than 20 student organizations. 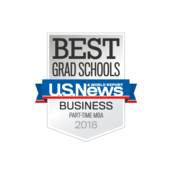 If you are thinking about business college, there’s no better place to study than the College of Business Administration at the University of Northern Iowa. Every corporation, small business and non-profit agency have one thing in common. Business. From wall street to main street, business professionals are crucial to the success of any organization. We rely on them to make management and financial decisions, process and analyze data, and find and improve inefficiencies – regardless of the goal.